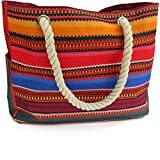 Because they are so many styles, colors, and patterns of totes, they are easy to find one you really like. You can use it to carry important documents or your laptop to and from work. You can get fancy totes, like leather, or you can get a plain, canvas tote. Whatever you choose will be perfect for your needs. Having a tote to take with you to the beach is essential. You can get a large one that will carry towels, food, drinks, toys, and anything else you might need. 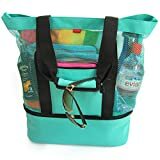 Additionally, you can find a tote that will prevent you from carrying the beach back to your house because they are easily cleaned and emptied. If you do not want a traditional backpack, you can use a tote to carry books, a laptop, pens, and anything else you need for class. Additionally, if you have one with long enough straps, you can hang it on the back of your chair instead of placing it on the floor. Instead of using plastic throw away bags, you can get small totes that will hold party favors for a birthday, a bridal shower, or any other kind of party. It lets your guest take something with them that they might be able to use again or just keep as a souvenir. Finding a place to hold all your travel documents or your favorite book is critical when traveling, especially if you are flying. It allows you to keep all your essentials in one place with easy access. You want everything at the tip of your fingers and be able to travel on a plane with you. Instead of getting the plastic or brown paper bags from the store, you can buy reusable totes. Not only are they good for the environment, but they hold a lot more than a traditional bag. 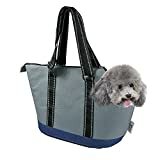 If you need to take your small dog with you when you go places, there are special totes designed to meet this need. You can take Fido with you and not worry about him jumping out. You can find very large totes that will let you pack clothes, towels, and other household items. This will make moving easier because you can use the straps to easily transport the totes during your move. Just like moving, you can find large totes to use for storage. You can find totes that zipper, so the contents don’t end up all over the place. And, if you put up hangers, you can hang the bags, so they are not laying all over the floor. Employers can use totes to advertise their company. 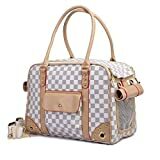 When considering using the bags in this fashion, you should buy bulk tote bags and find tote bags wholesale. This will keep the cost down while still being able to supply a quality product. Totes are a great promotional item because people will use the multiple times. 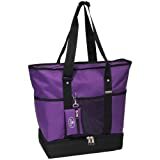 Furthermore, as they use them, you are getting free advertisement because your company logo will be visible to everyone who see the tote. The uses for a tote bag are unlimited. Using them daily, or only on special occasions is a personal preference. You can have a bag for every occasion, the ideas are limitless.